This article was originally featured in Colorado Real Estate Journal’s Building Dialogue. It was later featured online. 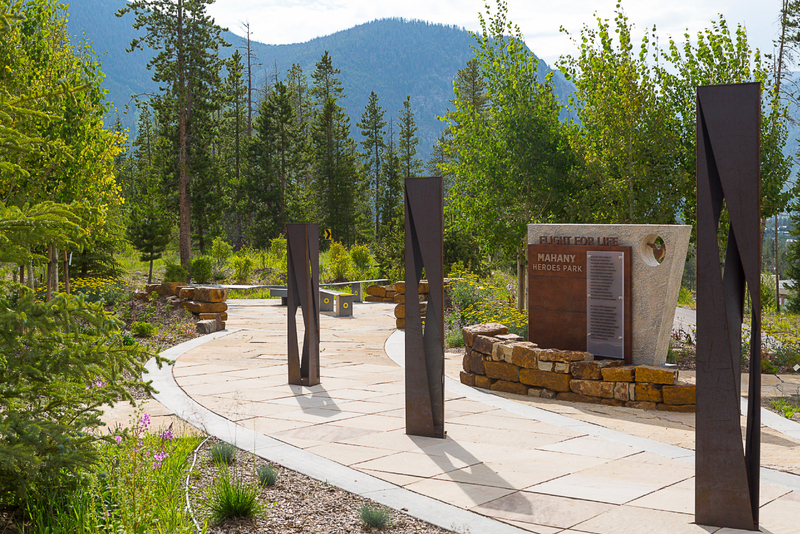 The pillars are illuminated at dusk and dawn by dark sky-compliant lights, shining down and onto the path. 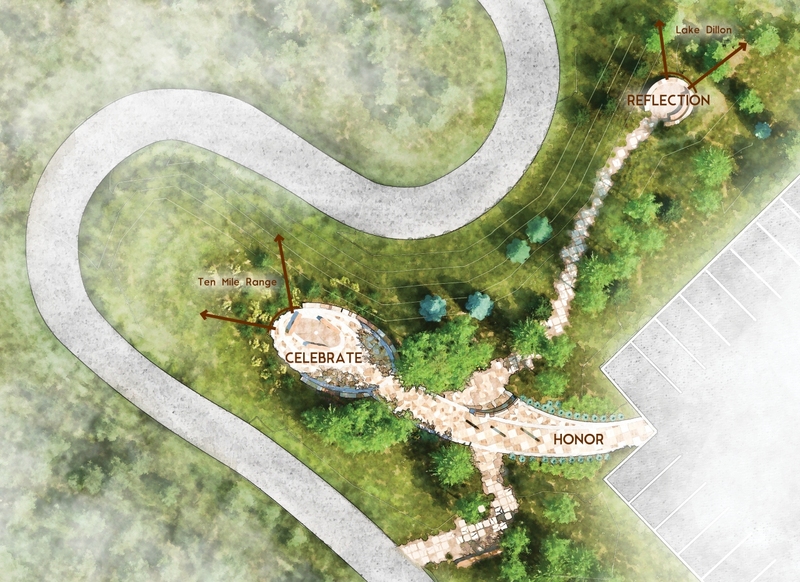 The site plan graphic shows how helicopter wind patterns were incorporated into the overall hardscape and landscape design of the memorial park. 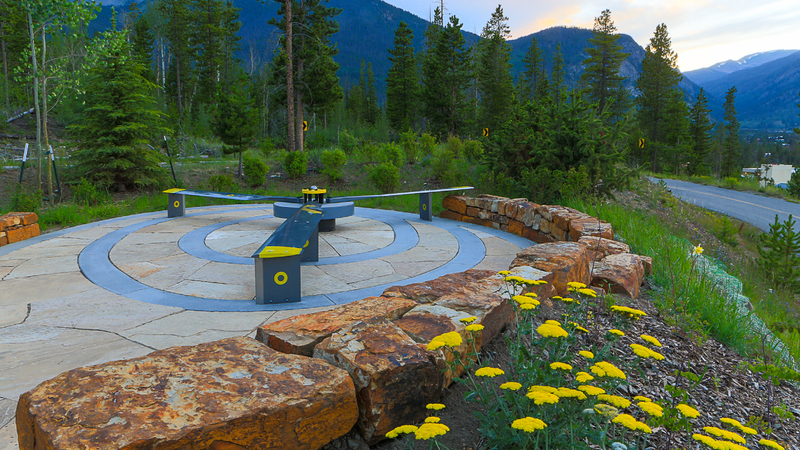 The focal point helicopter blade bench is made from real helicopter blades.